Yu Seon Ho has released a schedule for his upcoming solo artist debut! Fans can now look forward to Yu Seon Ho the singer with his debut 1st mini album, 'Spring, Brilliant' (In Korean, the word "seon ho" can mean "brilliant", or also "to prefer"). 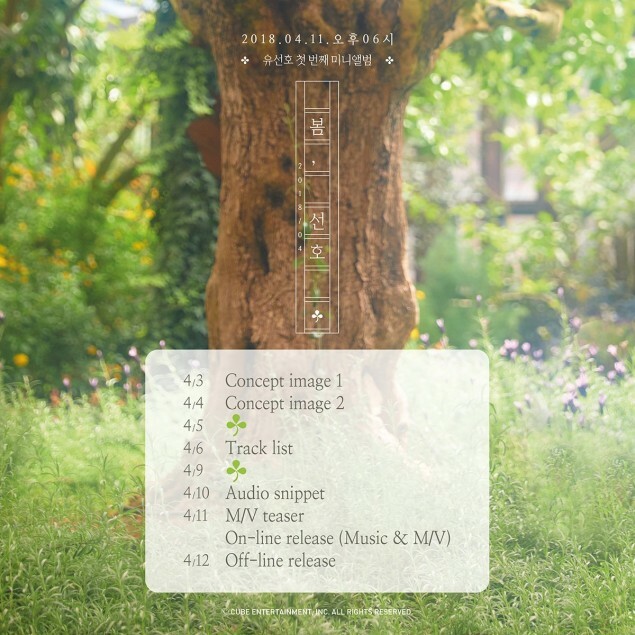 Concept images begin this April 3, followed by a tracklist, audio and MV teasers, and more, until the full online album and MV release on April 11. Can't wait to hear Yu Seon Ho's solo debut album!